With sous vide, there's also no real chance of overcooking. With a slow-cooking, extra-forgiving cut like pork shoulder, which is high in both connective tissue and fat, even if you overshoot by half a day your end results are going to still be incredible. I know: I tested it to find out! 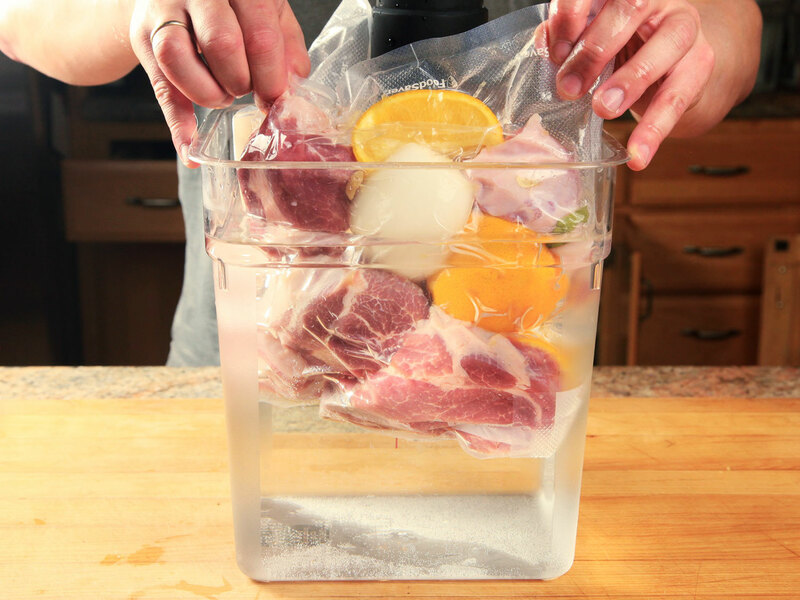 The other great thing about cooking sous vide is that because the pork is sealed inside a bag, there's no need to add any additional fat whatsoever. The fat rendering off the pork shoulder as it cooks gets distributed around the bag, essentially allowing the pork to tenderize in its own juices. The results? 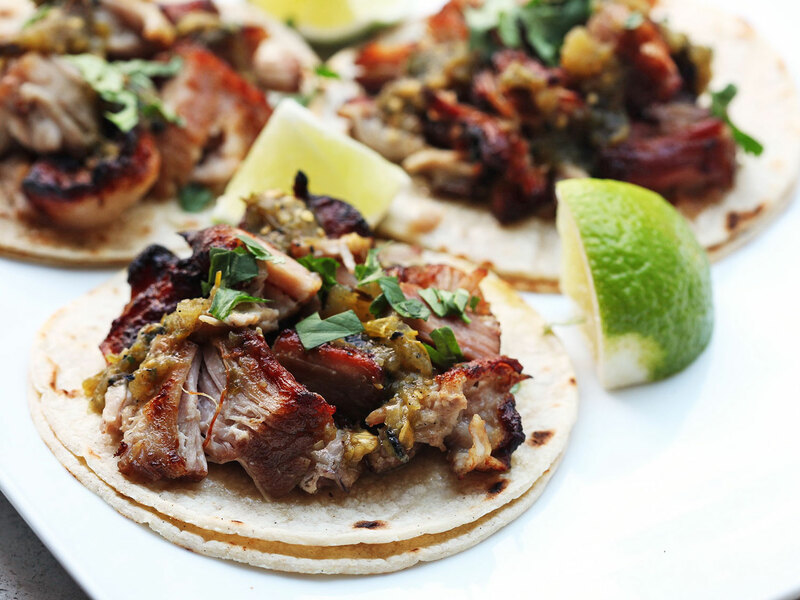 Extra-moist carnitas time after time. 145°F / 63°C for 24 to 36 hours - Very tender and moist, not very shreddable. Better for cubing or searing as slabs. 165°F / 74°C for 12 to 24 hours - Shreddable with your hands or forks, and moist. 185°F / 85°C for 8 to 16 hours - Traditional texture with meat that shreds naturally. 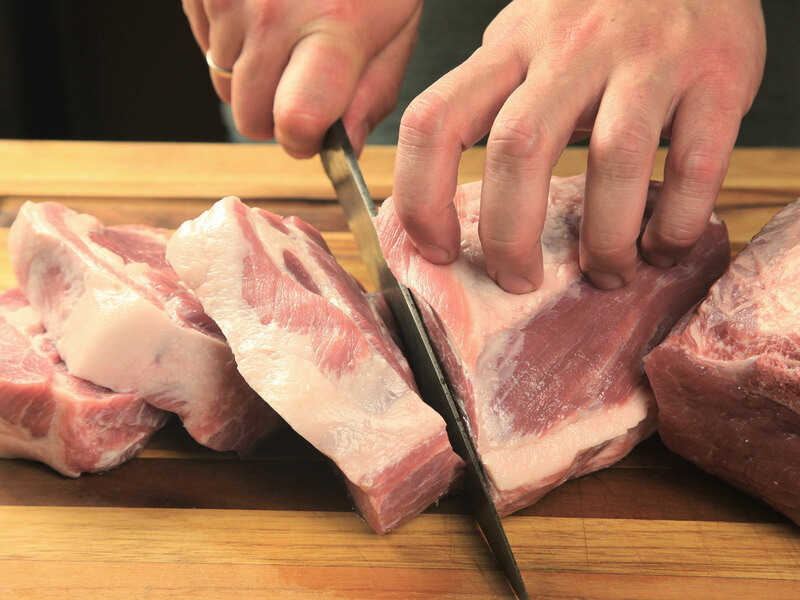 For better flavor penetration, first cut the pork into thick slabs. About 4 pounds is enough to serve 8 to 12 people once the meat is cooked. 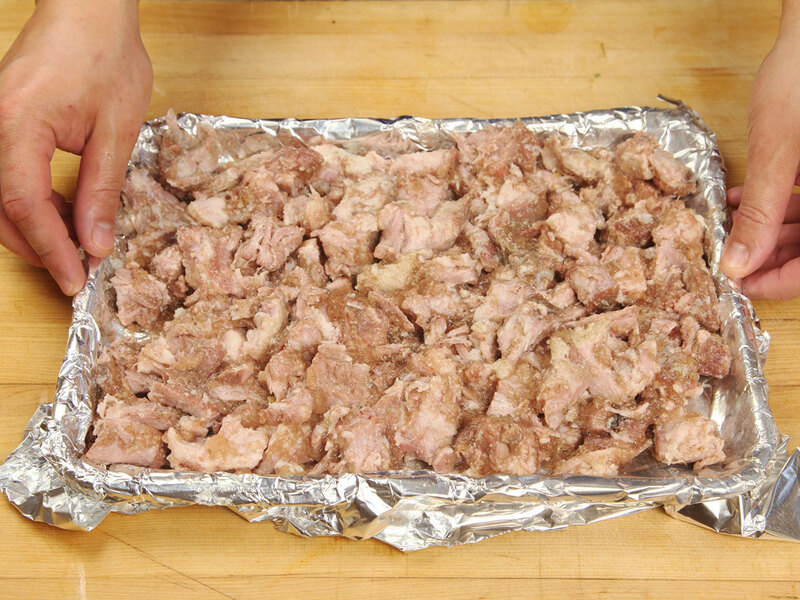 You can easily make half a batch, but carnitas freeze extremely well, so think about making the full order! Next, combine pork, onion, garlic, cinnamon stick, and bay leaves in a large bowl. Split orange into quarters and squeeze juice into bowl before adding rest of orange. Season generously with kosher salt and toss to combine. 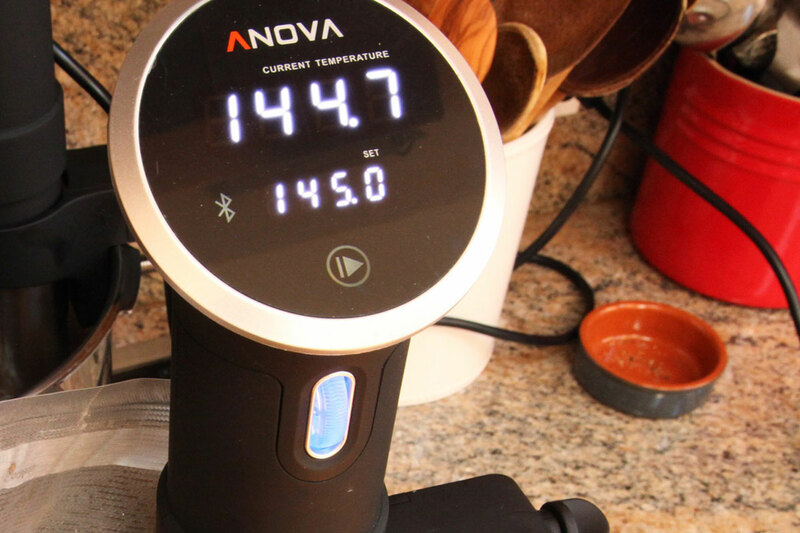 When ready to cook, set your Anova to desired temperature according to chart included above or in the Anova Culinary App. 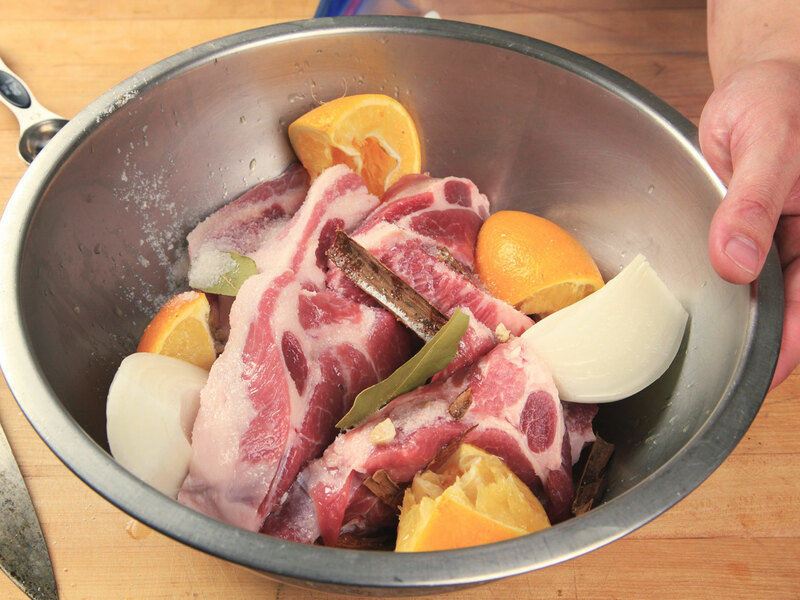 When meat is cooked, remove from water bath and transfer contents of bag to a large bowl. Pick out chunks of meat with a set of tongs and transfer them to a rimmed baking sheet. (Discard aromatics and excess liquid, or reserve liquid and blend it in with salsa.) 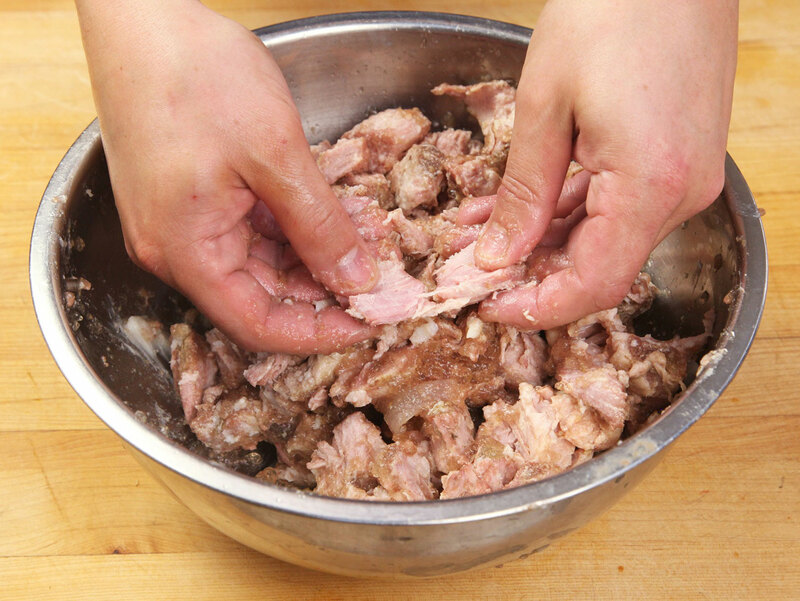 When it is cool enough to handle, shred meat roughly using 2 forks or your fingers. Spread evenly over baking sheet. 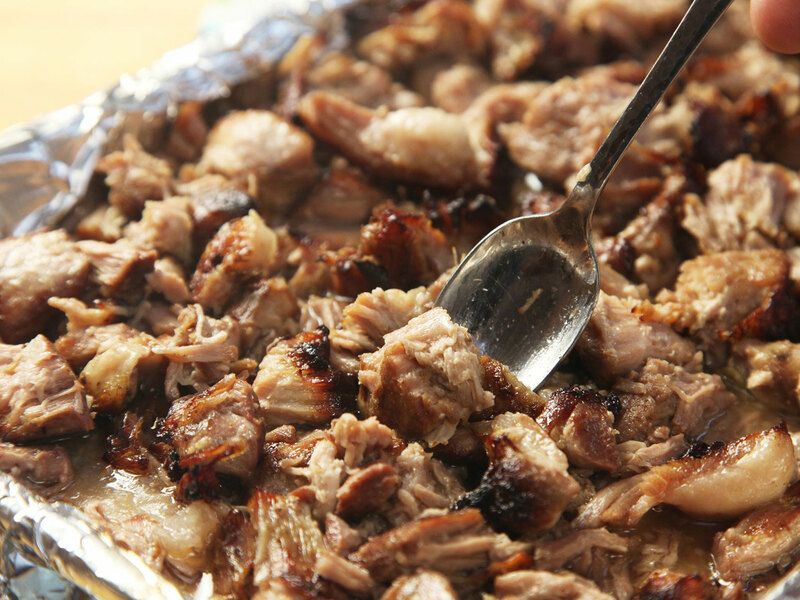 Pork can be prepared up to this point and refrigerated in a sealed container for up to 5 days before serving.